I ground this reading of reader-oriented criticism in a particular text, Rudy Wiebe’s The Mad Trapper. Positioning this novel as representative of the contradictory characteristics of all texts--”always already” open to multiple interpretations--I use these multiple readings both to examine and undermine the novel and Reader Response/Reception theory. Situating and problematizing my own discourse by examining its pedagogically-questionable origin, I begin my reading of both Reader Response and the novel with a Phenomenological investigation into intentionality and the construction of the reader’s consciousness. 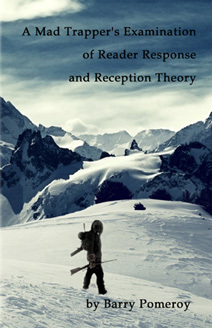 I then move to a reading of Reception theory which, by examining The Mad Trapper’s textual conditions of production and dissemination to the reading public, works to undermine Phenomenology’s problematic stance. Since both of these theoretical readings are premised upon notions of a unified and coherent self, I further explore their implications by discussing at first general theories of subjectivity and The Mad Trapper, and then finally making a reading of both Lacanian psychoanalytic theory and The Mad Trapper. I intend that this multiple reading of both theory and text, by utilizing interpretation’s inherent yet often unacknowledged multiplicity, undermines the dominant objective and authoritative interpretation of traditional critical practice.